Roscosmos’s ambitious plans for the exploration of Mars and the moon rely on experiments currently underway and planned for the near future. In the beginning of September, five geckos died in a Russian Photon-M satellite as part of an experiment examining how bio-organisms cope with the challenge of living in space. According to the director of the experiment, Sergei Saveliev, the autopsy showed that there was no food in the animals' stomachs. He attributed their deaths to technical malfunctions. "For the experiment it was important that the geckos mate in space and then lay their eggs - something that didn't happen," said Saveliev. Despite this setback, Russian research into animal behavior in space will continue. 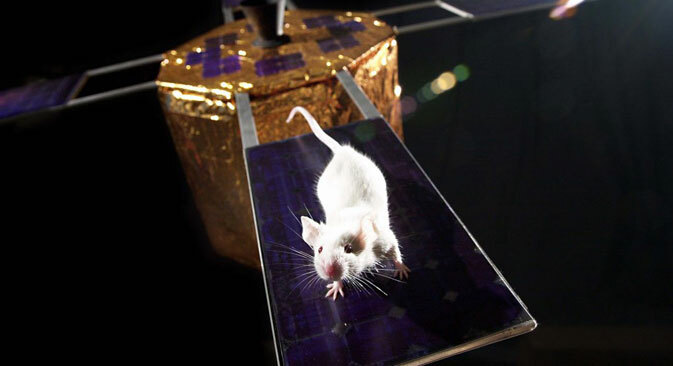 Dormice will be the next to fly into space, according to Vladimir Sychev, director of the biological program of the Photon-M project. Scientists will study how the animals hibernate in space. Scientists say that dormice are perfect for this study, since they sleep exactly for half a year. There is one particular challenge that must be confronted, however – dormice do not hibernate according to a particular schedule. Rather, they decide themselves when to go into hibernation. Practically an entire zoo has been sent to space by Russian scientists. Mice, gerbils, fish and snails have already been subjects of experiments. And, according to cosmonaut Yelena Serova, who flew to space on Sept. 26 and will spend the next six months on the International Space Station, the I.S.S. crew is currently operating a sizeable scientific program made up of 59 experiments. “In general, we are conducting unique biotechnical and geophysical experiments," Serova said in an interview with Russian daily Rossiyskaya Gazeta before her flight. While the subjects of the I.S.S. experiments are smaller animals, the purpose of the research is to determine the effects of microgravity on bio-organisms in preparation for sending humans to mars in 2024. In January 2015, the Russian Space Agency (Roscosmos) plans to carry out an experiment on robots in orbit. With the help of cloud technologies and a special joystick that compensates for the delay in transmitting data from Earth to orbit and vice versa, cosmonauts on earth will attempt to manipulate robots in space. The robot experiments are an important step in the Contour-2 project, which is a preparation stage in Russia’s long-term plan to build a base on the moon. The eventual plan is for robots to be used to construct the moon base. Previous studies have shown that humans can work on the moon's surface for no more than a few hours, which is inefficient for the construction of a moon base. According to Roscosmos’s plans, Russia should complete a habitable base on the moon by 2040.